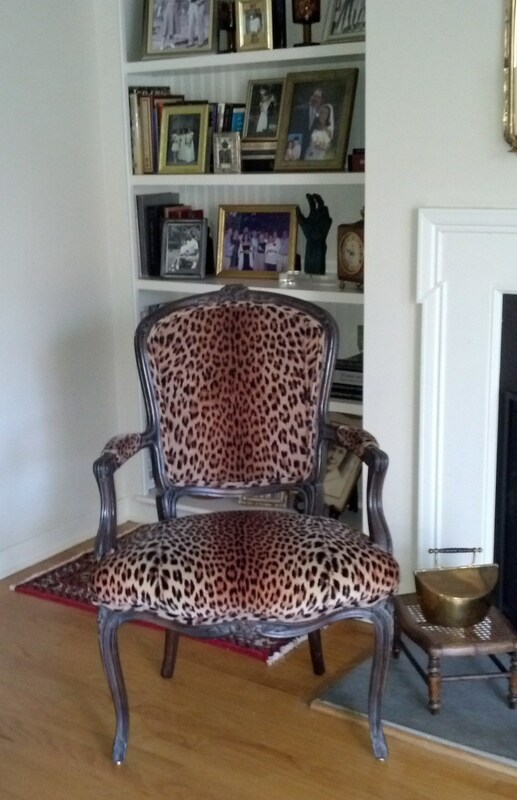 Animal prints are the perfect way to add a touch of exotic chic to any room of your home. The trick is, you have to know how to coordinate patterns and textures to make them work and not produce an overwhelming design. From tigers and cheetahs to zebra and giraffes, they can all work together in your home for an earthy yet glam motif. Here, the homeowner makes a singular bold statement with a leopard-print armchair flanking the fireplace. 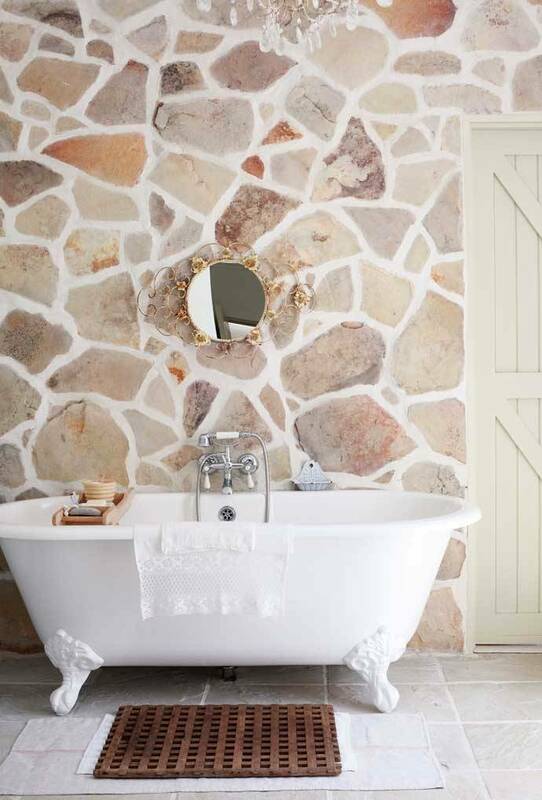 Choose your favorite animal print and use it for an accent wall in your bathroom. This homeowner used a giraffe pattern to create this modern yet glamorous space. The various hues on the wall bring warmth to the room, while the gold details on the mirror provide sophistication. Bring some life to a solid colored couch with animal print pillows. A white couch would pair well with zebra pillows. The black contrasts with the white, creating a dramatic effect, while the pattern on the pillows draws the eye in. Place an animal print rug under your kitchen table to make it the center of attention. A patterned rug combined with bold-colored chairs can create a visually appealing kitchen design. 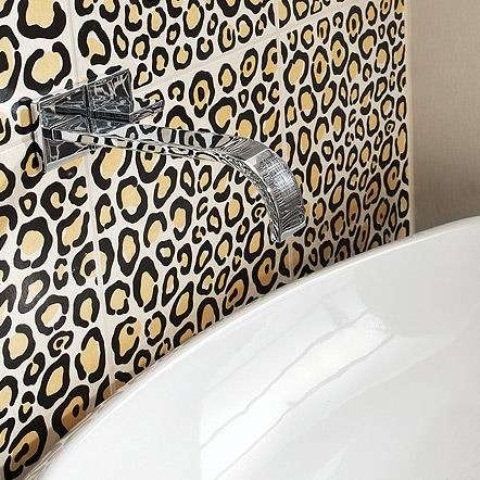 Whether in your bathroom or kitchen, animal print can create a daring and fashion-forward statement. This homeowner chose to line his or her bathroom backsplash with cheetah print, which stands out against a stark white sink. Whatever you choose, just remember not to overdo this motif; it's best as an accent.